- How he gets scoops and manages finances as a chess reporter who is often working independently. - His plans for covering the 2018 World Chess Championships and some info on whether his friend and collaborator, GM Jonathan Tisdall, will be writing about the match again this year. - Tarjei’s own chess game, including some discussion of encounters with a very young Magnus Carlsen, and a few books that he recommends. We also talk about some interesting match-related statistics that Tarjei recently revealed on Twitter, and his twitter recommendations for whom to follow during the World Championships. Tarjei recommends following Olympiu Urcan, GM Jonthan Tisdall, Chess.com, Chessbase, and Chess24. Thanks to Tarjei for taking time from his busy schedule! You can follow him on twitter here, and read his chess coverage here. Editor’s Note- We had some audio issues on the recording of this interview, so if you would like to read a transcript of our interview, you can do so here. The world champions and chess legends he has known. When did he first hear about future World Champions Vladimir Kramnik and Garry Kasparov? Who are the modern-world chess champions he has found to be less likable than the others? How Lev decided on the unique format for this 2016 Carlsen-Karjakin Match book, and why GM Vladimir Kramnik was persuaded to contribute to the book after some initial hesitation. Of course, GM Alburt also shares his thoughts on the rapidly approaching 2018 World Chess Championship. Tips and recommendations for chess improvement. The three pillars of Lev's study advice are the 1) play chess competitively 2) Analyze your games and 3) Find time for uninterrupted study. There is much more! Thanks so much to GM Alburt for joining me. You can reach Lev via his webpage here. His most recent book, 365 Chess Master Lessons: Take One a Day to Be a Better Chess Player, and his upcoming work, Tal, Petrosian, Spassky and Korchnoi: A Chess Multibiography with 206 Games. We discussed how GM Soltis got the ideas for these books, and how he comes up with writing subjects generally. Andy also shared lots of details about what goes into researching, writing and naming his books. His two longstanding chess columns in the New York Post (since 1972), and in Chess Life magazine (since 1079), Andy discusses how these columns came into being, and how he has managed to keep them going all those years. 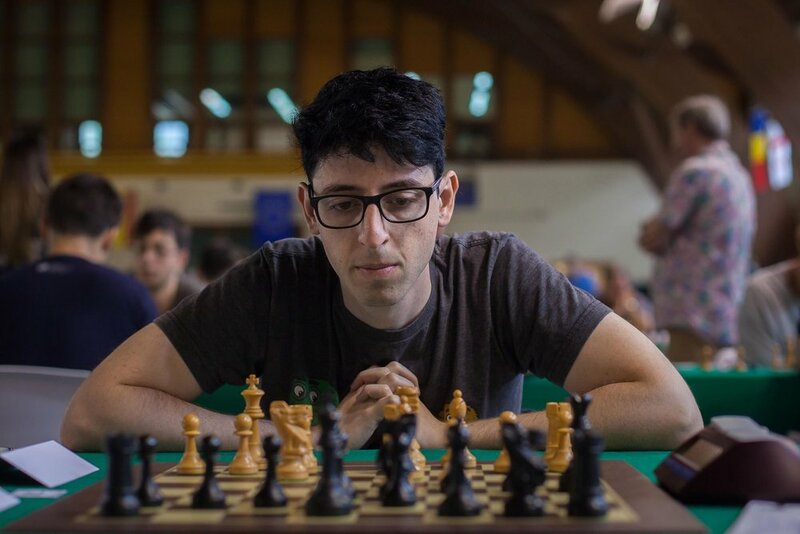 Andy shares his thoughts on the upcoming World Championships and the modern chess scene more generally. Of course, GM Soltis also had great stories to share about the likes of Bobby Fischer, Viktor Korchnoi and Mikhail Tal. Thanks so much to Andy for joining me. It was an honor to speak with him. IM Saravanan’s impression of the St. Louis Chess Club, and of the tournaments he had just witnessed. Stories and impressions of Super GM Viswanathan Anand, whom he has known for decades. What makes Anand a special talent and person? Saravanan also shares broader perspective about the Indian chess boom. Saravanan expounded on the incredible YouTube video he did, showing off his chess library to IM Sagar Shah. He rattled off a few more favorite chess books and shared his views regarding chess improvement. This week on Perpetual Chess, one of my earliest guests returns for an update on his life and travels. Twenty-five year old IM Kostya Kavutskiy is an active chess player, teacher, writer and content creator. We catch up with him after his busy summer of traversing 3 continents while playing and coaching chess. Kostya discusses the highlights of his trip, and the primary chess lessons he derived from his summer of high level competitive chess. (This includes a discussion of a position where he agreed to a draw in what was actually a winning position.) Check out the game here. Chess improvement advice focused on methods of analysis of one's own games, plus some fresh chess book recommendations. A breakdown of some of his favorite chess announcers, both in the English and the Russian languages. A discussion of how he uses chess engines, and what it means when two different engines give starkly different evaluations. Thanks to Kostya for joining me. He has a Patreon page on which he shares great chess educational content. Check it out here. You can also follow/contact him via twitter or his webpage. Today's show was recorded in Switzerland: Biel to be exact, home of the 51st International Chess Festival — which included a GM tournament won by Shakhriyar Mamedyarov ahead of Magnus Carlsen — and also the birthplace of today's guest, Grandmaster Yannick Pelletier. In chess, he's the Tournament Director in Biel as well as an accomplished player and commentator, but also polyglot and soon-to-be art/design/lifestyle media entrepreneur. Check out his YouTube channel and new magazine project Yunomi. Pelletier has been the Swiss Champion six times, and although he doesn't play more than a few tournaments a year nowadays, he has won three games from Magnus Carlsen, including one after Carlsen became World Champion. Yannick talks about life as a chess professional both before and after having kids, provides a history of the Biel Festival plus gives the 101 on how the Swiss manage to get along so well despite having multiple official languages. Macauley Peterson (Editor in Chief of ChessBase News) guest hosts once again and strongly suggests you support Perpetual Chess either via Patreon or using this special link at the ChessBase shop. Perhaps a video series from Yannick himself — he's recorded several and also contributes to ChessBase Magazine! This week on Perpetual Chess, the popular adult improver series makes its triumphant return, with another great guest. I am joined by Stacia Pugh. Stacia has only been playing tournament chess for a few years but has seen her rating rapidly rise to 1777, including a 300 point rise in the past year. What's her story? How did she do it? Stacia joins us to discuss exactly that. - Stacia retells how she got into chess, and shares how the male and youth dominated chess world has treats an adult woman. She also shares how she is managing to turn her love of chess from a hobby into a career. - She gives tons of study advice, including book recommendations and a discussion of the study habit that she feels helped her chess the most. Stacia even made a list of her top 10 chess improvement tips for Perpetual Chess listeners; it can be found at the bottom of this capsule. To reach Stacia and/or track her progress, you can follow her on twitter here, or contact her and read her blog on chess.com, here. If you would like to help support the podcast go here. His #1 piece of advice for older chess players, along with plenty of study tips and recommendations of chess books. His stories from his time hosting a chess interview show, "Chess and Books with Fred WIlson," in the early 2000s for the Internet Chess Club. Fred discusses his favorite guests, and reveals what has become of the audio files of these interviews. His memories of a few of his encounters with Bobby Fischer and other NY chess personalities. Thanks to Fred for joining me, check out the books he has written here. 41 Union Square West (at 17th Street),,Suite 718, New York 10003. Stories from his reporting assignments, including the times he spent playing tennis, soccer, and basketball with the likes of Magnus Carlsen, Rex Sinquefield and Maxime Vachier-Lagrave and others. Thanks to Mike for joining me. You can reach him via chess.com here. Subscribe to his podcast here. Summer substitute Macauley Peterson takes another turn on the mic, this time close to home with a sort of guided oral history by ChessBase co-founder Frederic Friedel. Frederic tells stories of meeting Garry Kasparov, Nigel Short, Viswanathan Anand and many others for the first time, and later hosting them at his home in a suburb of Hamburg. There may be something in the water there, because it seems like practically every World Champion and challenger since Kasparov has spent time with the Friedels over the past 35 years. You'll learn how ChessBase came to be, how Vladimir Kramnik felt about an early version of Fritz, what endgame kept Peter Leko up at night, which Leonard Barden book Frederic keeps in arms reach, and much more. Check out bonus material and support Perpetual Chess using this special link at the ChessBase shop. The recent simul they hosted, conducted by Former Women's World Chess Champion Hou Yifan. Judit discussed how an event like this comes about, and how the event was received in the Bay Area. The origins of BAC and how Judit wound up as Executive Director. Judit also discussed the funding of their program and the challenges she and her team can face in looking to raise money for BAC and for the Pro Chess League. The role of Bay Area Chess' as supporter of the San Jose Hackers of the Pro Chess League. Judit reviewed their 2018 season and talked some about how they recruited world class players like Grandmasters Shakhriyar Mamedyarov and Rauf Mamedov. Thanks to Judit for joining me on the podcast. You can reach her via email here, and learn more about Bay Area Chess here. This week’s guest on Perpetual Chess is the eminent chess author, GM Genna Sosonko. GM Sosonko has enjoyed a distinguished career as a chess player. He was once in the top 20 of the world's players and has helped train chess legends like Mikhail Tal and Viktor Korchnoi. But in recent years he has become best known for his beautiful chess writing. What made David Bronstein's chess so brilliant? What did his peers think of him? What did those who trained with Viktor Korchnoi' say about him? Has GM Sosonko met any other chess player who could rival Korchnoi's legendary love for, will to study, and obsession with chess? What shaped the personalities of these two notoriously prickly chess legends? In closing, we touched a bit on the modern chess landscape, and of course GM Sosonko told some great stories during our conversation. He even recommended a book (although it may not be so easy to find. ) Thanks so much to GM Sosonko for joining me for a very entertaining and informative conversation. Picking up on the theme of FIDE politics from the last episode, ChessBase Editor-in-Chief Macauley Peterson also spoke with IM Malcolm Pein while attending the first stop on the Grand Chess Tour in Leuven, Belgium. Macauley and Malcolm discuss the GCT 2018, which is continuing with more rapid and blitz in Paris, before turning to issues related to the FIDE election. Malcolm weighs in on the FIDE / Agon proposed "broadcast policy," the upcoming World Championship in London, why he joined the Makropoulos team, the impact of the pending RCF nomination of Arkady Dvorkovich, whether the election will be free and fair, and of course his old friend Nigel Short. While you listen, swing by the ChessBase shop, using this special link through which any orders will help support Perpetual Chess. 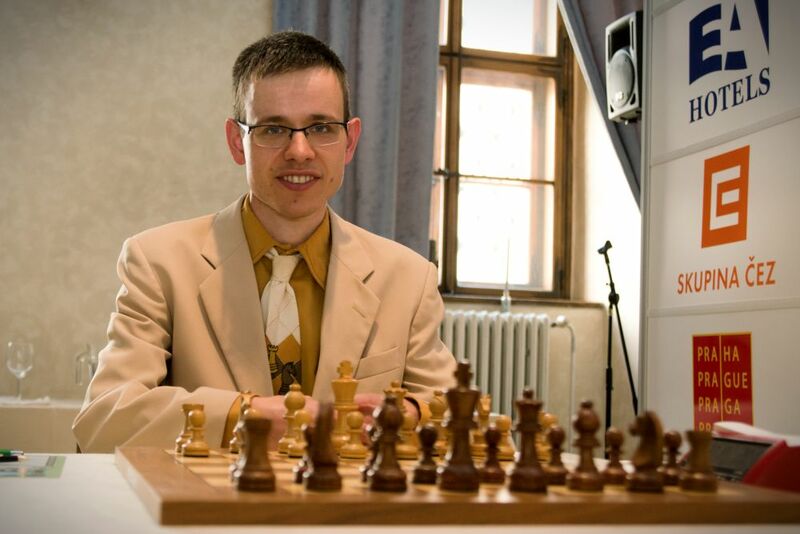 Perpetual Chess makes a "zwischenzug" over to Europe where Macauley Peterson, Editor-in-Chief of ChessBase.com, is filling in for Ben this week. Macauley caught up with Grandmaster Nigel Short in Leuven, Belgium, at the close of the first tournament of the Grand Chess Tour 2018, the "Your Next Move Rapid and Blitz" tournament, where Short was a commentator. The former World Championship challenger is still an active player, but in May he launched a bid to succeed Kirsan Ilymzhinov as President of FIDE, the World Chess Federation. Shortly before the interview, news broke that in addition to FIDE's current Deputy President Georgios Makropoulos, who declared his candidacy in April, a new candidate from Russia was entering the race: Arkady Dvorkovich, a prominent figure in Russian chess circles who currently serves as Chairman of the Local Organising Committee (LOC) for the FIFA 2018 World Cup, and has deep Kremlin ties, as a former Deputy Prime Minister. Short explains why he's in the race, what's wrong with FIDE, and how he intends to fix it. If you're interested in browsing the vast ChessBase shop, use this special link to help support Perpetual Chess. - His most recent project, a YouTube series called “Autopsy,” in which he does an in-depth analysis of an educational chess game, with an emphasis on highlighting critical mistakes. - The matter of prearranged draws in GM games (an issue recently raised by Magnus Carlsen) is there a way to avoid them? - Lots of other topics, including what openings we might expect in the upcoming World Championships, reflections on Sam Shankland’s torrid 2018, and a couple of fun stories about Kasparov and Karpov. Thanks to Josh for joining me. Check out his new YouTube series here, follow him on twitter here, and Facebook here. How does Andrzej find the time to study? What is his routine? What, specifically does he study? What "clicked" in the tournament where he earned an IM Norm? Did he feel like a stronger player at the time of that achievement? What is next for Andrzej? What resources does he recommend for other adult improvers? Thanks so much to Andrzej for joining me, you can follow his journey and contact him on his facebook page, "From 2100 to International Master," here. - His most memorable chess achievements, including being a part of the winning European Club Cup winning team in 2013, and playing with the likes of Kasparov and Karpov. - His advice for improving your chess play and enhancing your chess intuition. Thanks to GM Navara for joining me for an insightful interview. My final guest live from Nashville was none other than the seven-time winner of the US Women’s Championship, GM Irina Krush. How does she recover from tough losses? This is a crucial skill for all chess players to develop, and no, it doesn’t get much easier for grandmasters. Why did she decide to devote herself full-time to chess while some of her peers have sought work in other fields? How does she manage to play so much while also teaching and writing about chess? Irina had many tales to tell, including stories of playing blitz with Magnus, playing future World Champ Hou Yifan when she was just 11 years old, the Olympiads and more. Thanks to Irina for a great chat. To see the puzzle from Shereshevsky's new book mentioned by Irina, go here. Black to move and win. This is the last "Friday bonus" podcast, Perpetual returns to weekly Tuesday releases next week.